The school cook provides freshly cooked meals each day for children and staff. Children having school dinners pay the standard county charge each Monday for the number of dinners required that week. 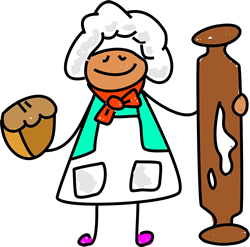 As of September 2014, all children in classes reception, one and two are entitled to a cooked meal free of charge. This means that no child ordering a dinner in either Foundation Stage or KS1 will pay for their meal. Children may bring a packed lunch and should have their food in a named lunch box and a drink in a named and leak proof container. No fizzy drinks or glass bottles are allowed. A third of a pint of milk is supplied daily free of charge to children until they reach their 5th birthday. The school operates a charged milk scheme, run by School Milk Services, which is EU subsidised and costs £1.30 per week. (Applications available from the school office). Payment is made to the Schools Milk Services Ltd. Lunches should be made payable to South Gloucestershire Council and cost £2.20 from September 2018. Children are not allowed to eat crisps and sweets at break time. Toast is also sold at the morning break for 10p. Free fruit is provided for all children under 7. If your child has any food allergies please let the school know.